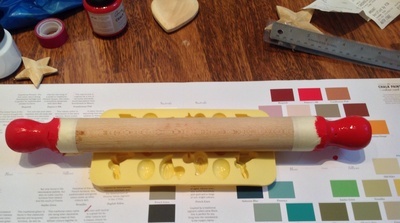 Brighten up a plain wooden rolling pin by painting the handles with a non-toxic paint. 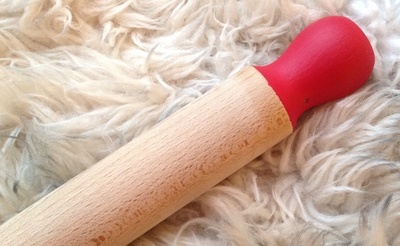 Wash your rolling pin in hot soapy water to make sure it is grease-free and allow the paint to adhere to the surface. Leave to dry. 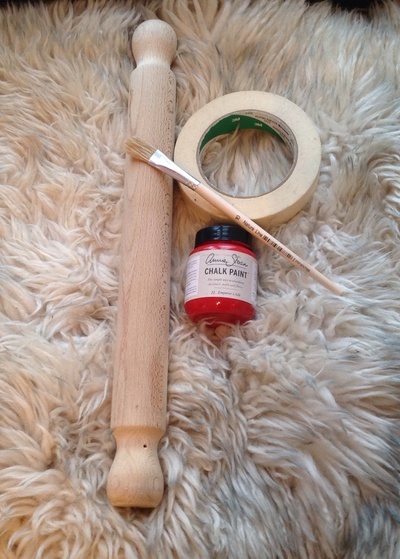 We are only painting the handles of the pin, so you'll need to masking tape off the ends to ensure a clean, straight finish. 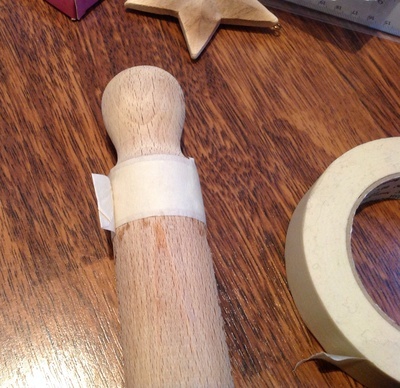 Carefully wrap masking tape around the ends, then fold it over onto itself to make a little tab. This makes it much easier to remove at the end. 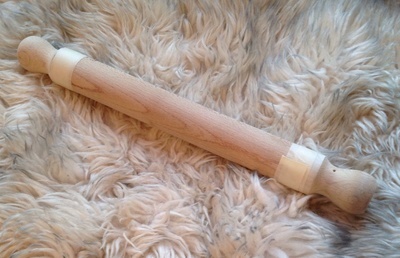 Using a small paintbrush and non-toxic paint completely cover the handles at each end of the rolling pin. Make sure you have even coverage, and do two coats if necessary. Leave the pin to dry. It can be tricky to find somewhere to dry it that doesn't make the pin roll away. I used a silicone food tray - it had just the right amount of tack. 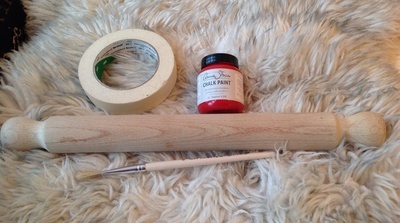 Once dried, remove the masking tape. 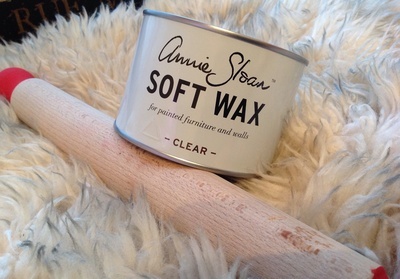 Apply the soft wax, as per the instructions on the tin, with a lint-free cloth. 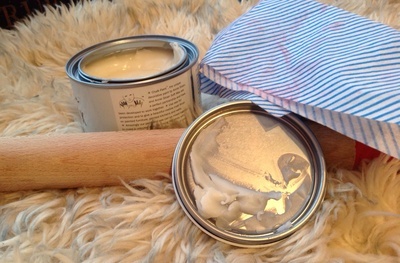 Once it is dried it's non-toxic and will stand up to washing with soapy water. You can always reapply every few months. 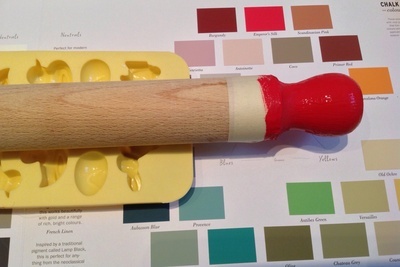 Enjoy your new, brightly-coloured rolling pin!